Upon arriving in Canada, many newly freed Blacks settled in what is now Ontario in Amherstburg, Chatham, London, Oro, Woolwich and Windsor. Others crossed the Great Lakes to freedom and made their homes in Owen Sound and Toronto. Here in Ontario, along with Black Loyalists who had arrived in the province following the American Revolution, they established new lives and enduring communities throughout the 19th century, and contributed to the overall defence and development of the province. During the War of 1812, Black volunteers fought under the British flag to defend their home in Canada and to prevent a return to slavery under an American regime. A separate Black unit called the "Colored Corps" was formed and fought again during the Rebellion of 1837 to defend the government and support the rights of Black people in the province. In 1815, Black veterans of the War of 1812 received grants of land in Oro Township from Lieutenant Governor Sir Peregrine Maitland. Much of the land in the area, however, was not suited to agriculture, so many who received grants were forced to move elsewhere to find employment. In 1830, near Lucan, Ontario, a sizeable Black community called the Wilberforce Settlement was founded by former residents of Cincinnati escaping the oppressive Black Codes in Ohio. The settlement disbanded six years later due to poor financial decisions on the part of its managers. That same year, Josiah Henson escaped to freedom with his wife and four children. A significant Black abolitionist and community leader, Henson was instrumental in founding the Dawn Settlement in 1841 near present-day Dresden, Ontario – and its vocational school, the British American Institute, the following year. The Dawn Settlement was a rural community where Blacks could pool their labour, resources and skills to help each other and incoming settlers. It contained farm land, a saw mill, gristmill, brick yard, rope manufactory and school. The British American Institute was a key element of the settlement. As a vocational school, it taught a variety of scholastic and practical skills to its students who had access to the community's resources in order to hone their trades. 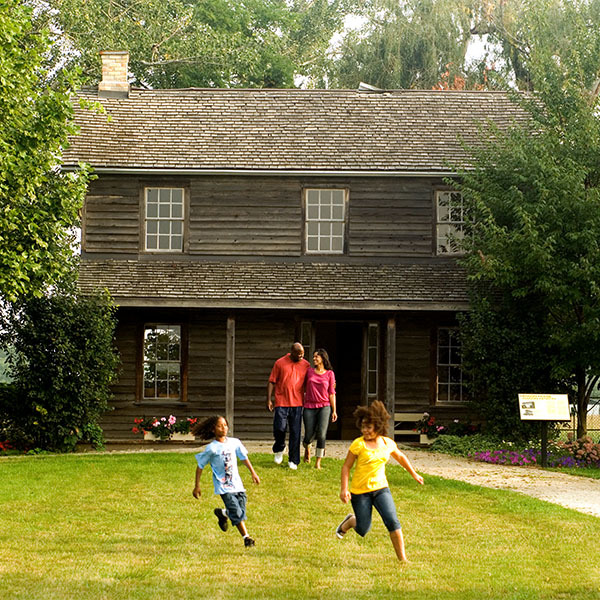 In 1849, Reverend William King purchased lands near Chatham, Ontario through the Elgin Association and, with 15 former slaves, founded the Elgin Settlement of Buxton. Reverend King had been placed in the area by the Presbyterian Church. Because he was coming from the United States, he did not want to leave his former slaves behind to face certain capture and re-enslavement. So, King and his former slaves came to Canada together and built a successful agricultural settlement at Buxton. By the 1860s, at least 2,000 people lived there and the settlement had gained a reputation for the superior education provided to its students at the local school. In the early 1850s, two important abolitionist newspapers were founded in what was then Canada West. The first, called The Voice of the Fugitive, was established in 1851 by Henry and Mary Bibb in Windsor, Ontario and reported on the Underground Railroad. The second was founded by Mary Ann and Isaac Shadd in 1853 and was called The Provincial Freeman. By 1854, the Shadds were publishing the newspaper on a weekly basis out of Toronto, making Mary Ann Shadd the first Black female in North America to own and publish a newspaper. The newspaper was later published out of Chatham, Ontario. The Anti-Slavery Society of Canada was also founded in Toronto in 1851 by Blacks and whites together to "aid in the extinction of slavery all over the world." The Society helped those seeking freedom in Canada and worked to influence public opinion on the topic of slavery. Branches of the Society were later formed in other areas of the province. The American Civil War began in 1861. By 1862, the ban on Black soldiers was lifted and nearly 1,000 Black Canadian men joined the Union Army in various regiments. In 1863, Abraham Lincoln ordered the Emancipation Proclamation declaring slaves to be free. At the end of the Civil War, in 1865, the Thirteenth Amendment to the Constitution officially abolished slavery in the United States. This led to a period of reconstruction in the country. During this time, a number of Blacks returned to the United States from Canada to live freely.